A clementine is a small citrus fruit that looks like an orange. 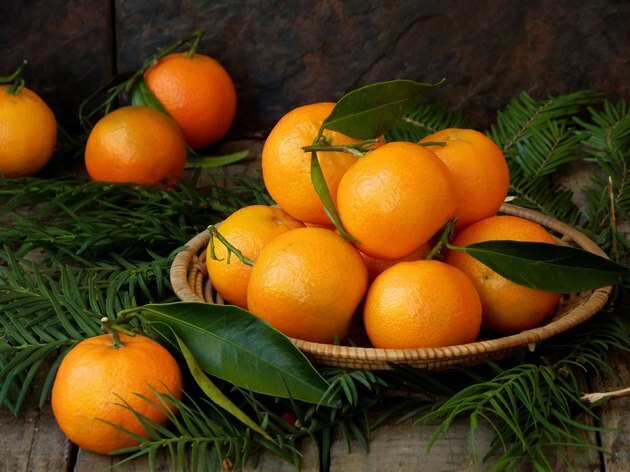 Clementines are rich in vitamin C and also contain carbohydrates, sugars, minerals and other vitamins. However, some people can have allergic reactions after eating clementines and other citrus fruits that can range from mild to serious. Some of the most common allergic reactions to the clementine occur in the mouth and throat. There can be ulceration on the tongue, lesions in the mouth and on the lips and tingling on the inner portion of the cheeks. These symptoms can last anywhere from a few minutes to more than an hour. While some people may get initial swelling in the mouth area that will disappear, others may get a reaction in their throat that can be quite uncomfortable. A constricted throat may develop as a result of swelling and that can have an adverse impact on breathing. An itchiness in the throat is quite common, and wheezing may also develop. Stomach and digestive issues may develop for some people who have allergic reactions to the clementine. Some of the common reactions for those who have a hard time digesting clementines and other citrus fruit include nausea, diarrhea, stomach cramping and general abdominal pain. These reactions can come on suddenly and explosively. Asthmatics who are allergic to clementines will get more frequent attacks and may have a very difficult time being able to draw a breath. Many of those allergic to clementines will develop watery and itchy eyes, sneezing, coughing and hives.